Meal Delivery System Product Information – Grande Cuisine Systems Inc. Select the product for full information. 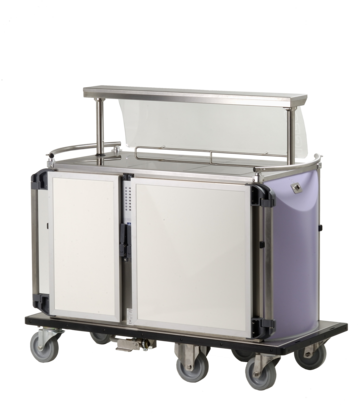 VITALIS One food transport carts are designed to ensure that meals on individual trays are always kept at the correct temperature. ENERGIS is a user-friendly regeneration oven for individual meals or larger containers. Its stylish design will enhance any dining room or kitchen. SERELIS is a mobile buffet cart for hot and cold multi-portion food containers. Patients can choose their own meals at the point of service. 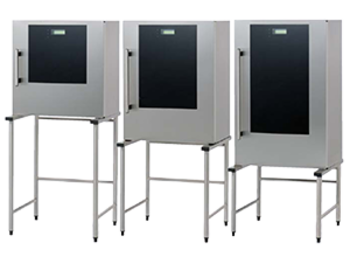 Each heating shelf is individually thermostatically controlled. 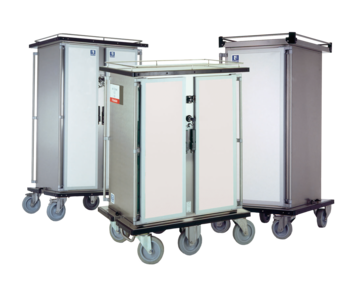 NAVIS carts are perfect for cold food distribution, also for truck transport between two different locations. 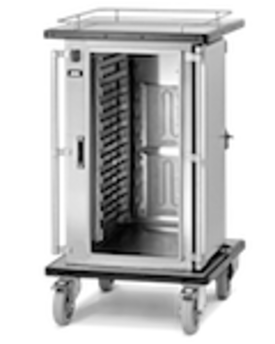 NAVIS Caldo was developed to transport hot food, either in bulk or on individual trays. 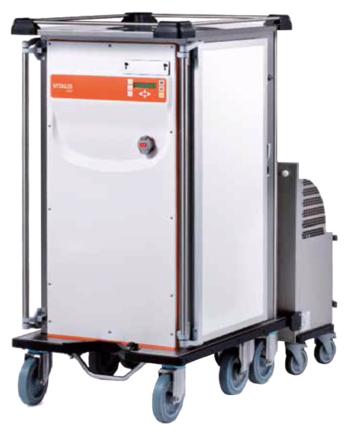 Beagle Mobility is a compact electric mover which is able to tow up to 4 Vitalis One Flex Carts or 4 Navis carts.